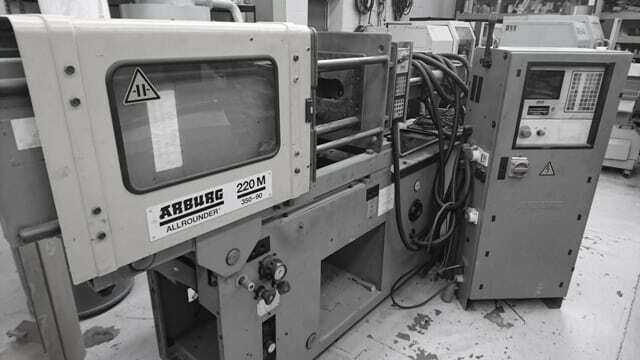 This is an Arburg 220M 350-90U machine which is currently awaiting refurbishment at our works. The ‘U’ range from Arburg allows for the clamp and injection units to be pivoted vertically which is ideal for insert moulding. These machines were an expensive option when originally manufactured so we don’t tend to see them that often on the used market. Any machines awaiting refurbishment with us can be reserved with a 10% deposit and we then prioritise the refurbishment and aim to have the machine available for inspection within 4 weeks from order.